AstraZeneca has secured EU approval for Tagrisso, its first-in-class treatment for non-small cell lung cancer (NSCLC). The drug was cleared through the European Medicines Agency's (EMA) accelerated assessment procedure for conditional marketing authorisation, and so will be up for further review in one year. Tagrisso (osimertinib) is a third-generation EGFR inhibitor and the first indicated to treat adults with metastatic EGFR T790M mutation-positive NSCLC. It's designed to target both the EGFR mutation that triggers cancer development and the T790M mutation that creates resistance against existing NSCLC treatments. Almost two thirds of patients treated with older treatments such as AstraZeneca's Iressa (gefitinib), Boehringer Ingelheim's Giotrif (afatinib) or Roche/Astellas' Tarceva (erlotinib) develop the T790M mutation and face limited treatments options. 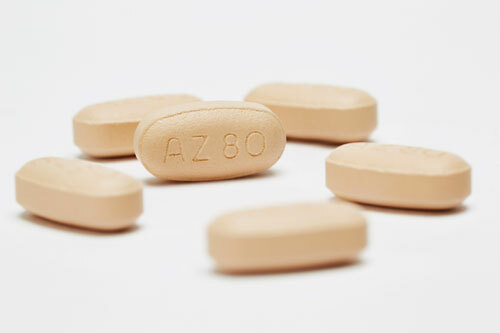 Sean Bohen, AstraZeneca's executive vice president, global medicines development and chief medical officer said Tagrisso “defines a new generation of targeted EGFR-TKI treatments”. “The European Commission's expedited approval reflects the importance of this innovative medicine for addressing the needs of patients with lung cancer who have the T790M mutation,” he added. Patients' eligibility for treatment with Tagrisso is determined through a blood test or tumour sample, for which a number of diagnostics are available. Chairman of the Global Lunch Cancer Coalition Dr Matthew Peters said: “It is an exciting time in the care of patients with lung cancer. In 2012 more than 1.25 million people died from cancer in the EU and lung cancer is the leading cause of cancer death among both men and women, accounting for about one-third of all cancer deaths. NSCLC accounts for 80-85% of cases and the EGFR mutation form occurs in 10-15% of NSCLC patients in Europe. The European Commission's approval of Tagrisso comes shortly after the drug's recommendation by EMA scientific advisors in December and follows its November approval in the US, where it also become the first drug approved for patients with T790M-positive NSCLC who have progressed on or after EGFR inhibitor therapy.